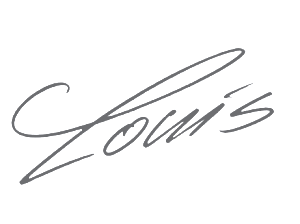 Allow me to introduce myself: My name is Louis-Spencer Smith, founder of All About Pianos Inc., Bösendorfer Pianos of Las Vegas, American Church Organs, and My Perfect Piano. Focusing on My Perfect Piano, my desire is to provide an unparalleled level of expertise and world class “concierge” service to buyers and sellers of Steinway & Sons and Bösendorfer grand pianos. Buyers are able to navigate the national and international piano market through the eyes of an industry veteran who will treat you like family and as a team member in the search for your perfect piano at the perfect price. Sellers are guided in having their instrument documented, catalogued, and appraised before receiving a cash offer, or before entering into one of the piano industry’s most successful in-home or showroom consignment programs. Investing over 20 years in developing a trusted nationwide and international network of industry associates (retailers, rebuilders, concert level piano technicians, and brokers), we offer highly competitive purchase opportunities to private and commercial buyers. My goal is simple: I want to make every single aspect of either finding your perfect piano, or helping facilitate the sale of your piano, a pleasing and rewarding experience for you – from start to finish. Nothing gives me greater professional fulfillment than hearing from my clients how elated they are with their new purchase or successful sale. For example, I recently sourced a one of a kind 1929 Steinway AIII grand piano that spent its entire life in a crate, stored in a San Francisco hotel, up until a few years ago. As such, it was a like-new piano, the rarest of time capsule instruments. The piano now resides in Los Angeles, and after a thorough tuning, voicing, and concert level regulation, its proud new owner was overcome with joy at how magnificent the piano sounded and played. Our clients include noted musicians and composers from Hollywood to Broadway, University of Trinidad & Tobago (one of the largest fleet purchases in Bösendorfer history), De Paul University – Chicago, SDSU, MSU, and thousands of satisfied private and commercial clients across North and South America, Europe, Japan, China, and Australia. It would be my pleasure to serve your piano needs. Request a free, no-obligation phone consultation.